Accident reconstruction is method used to prove the cause of an accident. Lawyers use accident reconstruction in car accident cases to resolve disputed facts about how fast a vehicle traveled, the point of impact, the sequence of events, and whether a witness’ account is accurate. We also use accident reconstruction in workplace and industrial accident cases. The other party denies fault. Someone cannot remember what happened because of head injuries or other medical issues. One of the parties died and cannot tell their story. Simulating the accident. They can do a mock-up to show the court the location of each vehicle before, during, and after the crash, and the speeds at which they traveled. Analyzing video. Video provides an incredible amount of information experts can analyze to build your case. Making calculations. An accident reconstruction expert can show through physics and math that the accident could not have happened the way the other side claims. They can also calculate that the driver was speeding, did not hit the brakes, or blew through the traffic light. Photogrammetry. Experts use photographs to determine the precise place where the impact happened, the height of a person in the picture, and many other details. Testing impact. An accident reconstruction expert can look at the wrecked vehicles, determine the place on each car where they collided and the direction each vehicle was traveling at the time of impact. This information can be essential in disproving the claims of the other side about which party’s negligence caused the crash. Police report. The accident reconstruction expert will read the report of the law enforcement officer who came to the scene, but will not accept it as being 100 percent accurate. Accident reconstruction experts often discover mistakes in police reports. If the police report in your case is wrong and it hurts your case, an accident reconstruction expert can prove what actually happened. Vehicles. Crashed vehicles contain valuable information about the wreck and what caused it. An accident reconstruction expert can examine a wrecked car and establish that the other driver must have driven faster than they admitted. The point of impact can also tell the expert that your vehicle did not drift into the other person’s lane as claimed. Video footage. If a picture is worth 1,000 words, then a video must be worth far more. Even footage from nearby properties can be of value. For example, a hit and run driver turns himself in three days after the wreck. He denies that he was impaired by alcohol at the time of the accident. Video footage from nearby properties that showed him driving erratically in a manner consistent with alcohol impairment can be critical evidence. Witness statements. An accident reconstruction expert can calculate whether a party or eyewitness is telling the truth about what happened before, during, or after the crash. Measurements. The accident reconstruction expert can go to the scene, take precise measurements, and evaluate photographs. They will apply formulas to analyze the facts of the case and determine who is telling the truth about what occurred. If you suffered harm in a car crash or other accident, call S. Burke Law at 404-842-7838 to set up your free consultation. There is no obligation. Can I Sue a School for Negligent Security? Yes, in some cases you can sue a school for negligent security if they failed to provide a safe environment which resulted in the injury of you or a loved one. Georgia schools must follow federal rules for providing a safe environment for our students and teachers. If a school fails to meet the standards for school safety or its negligence causes someone to suffer an injury, the injured person may be able to sue for damages. 1. The school (defendant) had a legal duty toward the injured person (plaintiff). Schools have a legal duty to protect students, teachers, parents, volunteers, and authorized visitors. The school campus, parking lots, and entryways must be reasonably safe. 2. The defendant breached its duty toward the plaintiff and failed to maintain safety on school premises. Failure to provide and maintain adequate security is a breach of duty. Thus, behavior that fails to live up to the legal standard of care is negligence. 3. The school’s negligence caused the harm that the plaintiff suffered. The school’s negligent security must be at least part of the cause of the plaintiff’s injuries. Mere negligence without injury falls under the “no harm, no foul” rule. Negligent security claims must involve physical injuries. If someone threatens you with imminent bodily harm, but you manage to escape without physical injuries, you do not have a negligent security claim. 4. Adequate security would have prevented the crime. Schools are not legally responsible for every crime that takes place on their premises. For example, the school is not liable if providing appropriate security would not have prevented the crime. Georgia lawmakers passed tougher security requirements after the school shootings in Florida and other states. These new rules became effective for the 2018-19 school year. The local emergency management agency to approve every school district’s safety plan. School staff to receive training in violence prevention and mental health issues. Schools to install and utilize high-tech security devices. The state of Georgia has set aside $16 million in grants to help schools pay for the security upgrades. Schools will not receive grant money if they do not comply with the new safety requirements. If someone sustains an injury at a school that failed to implement the recently-mandated security measures and its compliance would have prevented the injury, the injured person has a strong negligent security case. In this situation, the plaintiff can sue the school for flouting the traditional negligence and negligent security provisions of the law. Victims can bring negligent security claims against schools that fail to take reasonable and required steps to protect them. Georgia’s Department of Education identifies schools that have ongoing safety issues and offers them professional and technical help to ensure compliance with safety laws. A student who is the victim of a violent crime or who attends a school labeled as “persistently dangerous” can exercise the Unsafe School Choice Option (USCO) and attend a different public school. You can access the USCO reports to find out about reported criminal activity at your child’s school. Once a school knows about an unsafe condition, it must take reasonable measures to prevent harm to students, teachers, and authorized visitors. Failure to do so can be construed as negligence. The law requires that students attend school. Georgia law also orders schools to protect their students and teachers from harm. Victims can sue a school for negligent security if it fails to implement adequate measures to guarantee their safety. If you need help to decide if you can sue a school for negligent security, call S. Burke Law today at 404-842-7838. We will set up your free consultation to discuss whether you might be eligible for compensation for negligent security at a school. Is There a Cap on Medical Malpractice Damages in Georgia? The State of Georgia statutes still have a limit on how much money you can recover for your non-economic damages in a successful medical malpractice case, even though the Georgia Supreme Court declared this cap unconstitutional nearly a decade ago. There is no legislative cap, however, on the amount you can win for your economic losses in medical malpractice cases. Experts disagree on whether the law limiting non-economic damages is enforceable. No more than $1,050,000 total from all defendants in the lawsuit – including all medical facilities, doctors, healthcare providers, and persons who may have harmed or killed the plaintiff. Since the Georgia statutes do not place a limit on the amount of economic damages a plaintiff can get in a successful medical malpractice action, you need to know the difference between economic and non-economic damages. These include medical bills, lost income, ongoing medical care and assistance, decreased earning capacity, home and vehicle modifications, long-term care, equipment, supplies, and other financial losses you sustained as a result of the medical malpractice. 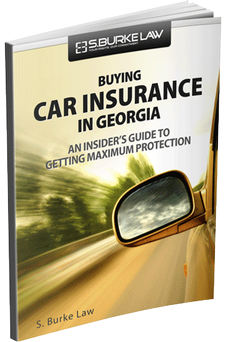 Georgia law does not limit the amount you can recover for these damages, but they must be reasonable and related to the harm. These types of damages include the harm you experience because of the medical malpractice, but that did not cost you out-of-pocket. For example, the mental anguish, distress, physical pain, and suffering you endured are non-economic damages. Other examples include disfigurement, disability, physical impairment, inconvenience, hardship, and loss of enjoyment of life. Your loved ones might have claims for non-economic damages like loss of consortium, companionship, and society. If you have questions about your medical malpractice case, our dedicated legal team can help. Contact us today at 404-842-7838. One of the reasons the Georgia Supreme Court struck down the statutory cap on non-economic damages in medical malpractice cases is that there is not a similar limit on non-economic damages in other types of personal injury suits. In all other negligence actions, the defendant must pay the amount of non-economic damages that the jury feels is appropriate. The Court also said that the legislature does not have the authority to tell juries how much money they can award to successful plaintiffs. The statute is unconstitutional because it usurps the jury’s right to award the amount of damages it sees fit, and thus the law illegally blocks plaintiffs from their right to a trial by jury. The facts in every case are different, so S. Burke Law can explain your economic and non-economic damages. Give us a call at 404-842-7838 to set up your free, no-obligation consultation. Workers installing electrical lines in the building or construction project. Since it is not possible to remove electricity from the workplace in construction and related industries, employers must focus on safety to prevent injury and death. The vast majority of people who come into contact with electricity survive the experience, even though many do suffer some injuries. Why do some people live and others do not survive? Death occurs from an electrical shock when the amount of electrical energy causes a lethal level of overstimulation of the nervous system or damage to internal organs. Cardiac arrest is a common component of electrocution. The emergency medical treatment the person received. You can experience an electrical shock by either a direct contact with an electrical current or from an electrical arc hitting you. An electrical arc happens when electrons flow through the air or through a gas. Construction sites have many locations where electrical shock from direct contact or arcing can occur. The heat of an electrical arc can create a flash burn on the human body. You can sustain flame burns if the electricity ignites your clothing or other nearby combustible materials. Flash burns and flame burns are thermal burns that seldom involve electricity flowing through the body. The damage is usually limited to the skin and layers of tissue below the skin, as opposed to the internal organs. You can suffer internal and external burns from electrical shocks. Internal burns happen when the electricity flows through parts of your body, burning a swath of your tissues and organs all along its path. The current can cause nerve damage and blood clots throughout your body along the path of the internal burns. When a jolt of electricity hits the body, your nervous system responds rapidly with muscle contraction or a startle reaction. If you are working at a high elevation on a construction site, such as in a crane, on a ladder or scaffolding, or in an aerial bucket, the reflex response could cause you to fall or move into the path of dangerous equipment. Either result could be fatal. You might be eligible for worker’s compensation benefits if you sustain an on-the-job electrical shock injury. At S. Burke Law, we will explain your legal options and how to collect your worker’s compensation benefits. If a third party’s negligence caused your injuries, you might be able to file a claim for damages from that individual or company. The manufacturer knew that the wiring would eventually fail, but it calculated that it would be cheaper to pay injury claims than to use the high-quality wiring mandated by safety guidelines. You were in the aerial bucket on the job when the wiring failed, disabling the steering. The bucket careened into live electrical lines, and you suffered severe electrical shock injuries. The manufacturer had a duty to produce equipment that was safe when used as intended. The manufacturer violated that duty when it used inferior, unsafe wiring in assembling its cranes with aerial buckets. Violation of a legal duty of care is negligence. The manufacturer’s negligence caused the accident. You suffered physical injuries in the accident. Therefore, the manufacturer owes you compensation for the injuries you suffered as a result of its negligence. In a negligence action, you can typically recover your medical expenses, lost wages, pain and suffering, and long-term impairment. Depending on the facts of your case, you might be eligible for other damages as well. The team at S. Burke Law will answer your questions and tell you if you might have a claim for compensation. Call us today at 404-842-7838, and we will set up your free consultation. If your loved one died due to electrocution at work, you may be eligible to recover damages through a wrongful death case. Electrical hazards are so prevalent on construction sites and in related industries that workers are at an unacceptable risk of electrocution (death from electrical shock). Many workers do not receive warnings about the present electrical dangers, so they do not take steps that could protect them from injuries and death. Power tools and equipment on construction sites use electrical currents. Overhead power lines are a lethal risk at many job locations, causing the deaths of crane operators, workers in aerial buckets, and people working on rooftops, scaffolding, and ladders. Most electrical injuries are not life-threatening, but some are fatal to the victim. Electricity kills when it causes a lethal level of damage to internal organs like the brain or heart, or overstimulation of the nervous system. People who die from electrocution often experience cardiac arrest. The speed and quality of emergency medical care the person received. The electrical current itself can cause a lethal amount of damage to the body, but that is not the only way a person can die from contact with electricity. If the electrical injury causes the worker to fall, the worker can die from a combination of electrical contact damage and injuries from the fall. Many electrocuted victims also suffer substantial internal and external burn injuries from their contact with electricity. Depending on the facts of your case, you might be eligible for workers' compensation death benefits if your loved one died from electrocution on the job site. 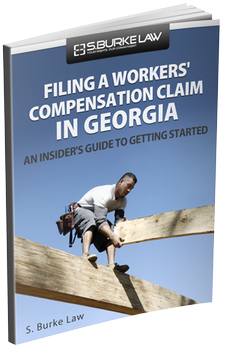 Georgia workers’ compensation defines a compensable work-related claim as one that arises out of and in the course of employment. The dependent spouse and minor children of an employee who dies on the job can file for workers’ compensation death benefits. The workers' compensation board will pay qualifying claims for funeral expenses up to the legal limit. Eligible dependents can also collect two-thirds of the decedent’s average weekly wage, up to the maximum amount. Georgia law allows you to pursue a negligence claim against someone who caused your loved one’s injury at work, as long as that third party does not work for the same employer that your loved one did. The workers' compensation board might demand some reimbursement if they paid workers’ compensation death benefits and you also recovered damages from the responsible third party. Let’s say that your loved one worked for the general contractor on a construction site. An excavation subcontractor’s worker crashed a backhoe into a utility pole. The pole broke, and a 7200V overhead power line fell next to your loved one, electrocuting him. A mandatory drug test revealed that the backhoe driver was under the influence of controlled substances at the time of the accident, which impaired his ability to operate the equipment safely. The subcontractor knew that the driver took illegal drugs. The law will evaluate whether the defendants had a legal duty toward the decedent. Yes, they both had the duty to perform their activities in a reasonably safe manner on the construction site. If the defendants failed to live up to their legal duty of care, they were negligent. When the backhoe driver operated the equipment on the job site while impaired by drugs, he was negligent. When the subcontractor allowed a worker with a known drug habit to operate equipment on a construction site, the subcontractor was negligent. The negligence must be the cause of the accident. Both acts of negligence contributed to causing the accident. The harmed person must have suffered physical injuries as a result of the negligence. The injured person died from electrocution, clearly meeting the requirement of a physical injury. Call S. Burke Law today at 404-842-7838 and claim your free consultation. We will talk with you, investigate what happened, and tell you if you might have a claim for workers' compensation or a wrongful death lawsuit or both. We provide this service at no cost or obligation to you. Injuries on the job can involve two different areas of the law—workers' compensation and wrongful death actions. One misstep can affect your legal right to compensation for your loss. We will explain how these laws work and navigate you through the claims process and the courts. Can I Sue If I Fell Down the Stairs? If you fell down the stairs on someone else’s property and sustained an injury, you need to know if you can collect compensation to pay for your losses and the pain and suffering you experienced. Depending on the circumstances, you might be able to sue the property owner. Sometimes third parties can face legal responsibility. 1. There was a dangerous condition on the property. 2. The landowner knew or should have known about the hazard. 3. However, the owner did not post adequate warnings or take corrective action to repair the situation. Georgia law imposes a different duty on landowners based on the status of the injured person. Landowners cannot “booby trap” their property to intentionally harm people who trespass. For example, if a trespasser loses his footing and falls down the stairs, the landowner is not liable. On the other hand, if the property owner sets a trap to push trespassers down the stairs, the owner is responsible for the injuries. If you came onto the property solely for your benefit or as a social guest, you are a licensee. An example of a licensee is someone who walks into a grocery store to use the bathroom, but not to shop for groceries. In terms of legal protections, a licensee is sort of a hybrid between an invitee and a trespasser. The landowner does not have to safeguard licensees as much as invitees. The law does not allow property owners to commit willful or wanton injury to licensees. Let’s say the grocery store’s bathroom for customers to use was on the first floor. The store manager was angry about non-customers using the facilities, so he told employees to direct them to the basement bathroom, and he poured slippery oil on the stairs. The owner will be responsible for any injuries resulting from these willful and wanton actions. If you enter the premises for any lawful purpose at the express or implied invitation of the landowner, you are an invitee. For example, a shopper in a store is an invitee. Also, an employee of the electric company who comes on the property to read the meter is an invitee. Georgia law requires the property owner to use ordinary care to keep the premises and approaches safe. The owner of a two-story restaurant, for example, must use ordinary care to make sure the stairs are safe for customers. To satisfy this duty, the owner must monitor the stairs regularly for hazards like spills or objects which could trip patrons. When an employee discovers a problem, the restaurant should warn people, prevent them from using the stairs, and promptly wipe up the spill or remove the object. Someone pushed or bumped into you (intentionally or accidentally). Someone made the stairs slippery (for example, spilled a drink). Someone installed carpet or another surface on the stairs incorrectly. When someone gets hurt, often more than one person is at fault. Let’s say you had some wine at dinner before you fell on the restaurant stairs. If your blood alcohol level was high enough to contribute to your falling, the judge might assign a portion of the negligence to you. This rule is comparative fault. You can still collect damages for your losses, but the law will reduce them in proportion to your fault. For example, if your damages were $100,000, and you were responsible for 10 percent of the total negligence, the rule of comparative fault will cut $10,000 from your recovery. Premises liability involves multiple parties—landowners, employees, and third parties. Evaluating these cases can become complicated. You do not have to navigate your premises liability claim on your own. Call S. Burke Law at 404-842-7838, to line up your free consultation with a premises liability lawyer. We will sort out the issues at no cost to you and with no obligation. Can I Sue a Security Company for Negligent Security? You may be able to sue a security company for negligent security if you sustained injuries on your or someone else’s property. If you suffered an injury because the security company failed to provide adequate security on your property, you may have a negligent security and breach of contract claim. You may also have a negligent security claim if you sustained injuries on premises owned by someone else who hired a security company. Negligent hiring of employees. A security company should perform sufficient background and criminal checks to ensure that they are not hiring dangerous or violent felons. It should also confer with previous employers to see if the potential employee poses any type of security risk. For example, if at a previous job, the security guard left his assigned post in a parking lot behind a downtown store. While the guard was in a nearby bar, someone attacked and injured a customer who was walking from the parking lot into the store. The previous employer fired the guard for leaving his post. A routine background check would have revealed this. If the current employer did not perform a background check when hiring the guard, the company can be held liable for negligent security. Negligent training of employees. A security company may have thoroughly investigated its job applicants but failed to train them. Handing someone a uniform and a badge without making sure that he has the skills to handle foreseeable circumstances is negligent training. It can subject the security company to liability for damages. Negligent supervision of employees. A security company should have protocols in place to make sure that the employees do their jobs correctly. If the security company does not keep track of how its employees perform, the company can be guilty of negligent security. Let’s say that a night security guard is supposed to make the rounds every hour, checking to see that the doors are locked and that the building is secure. However, the company never verifies that these security measures have been implemented. Consequently, it can be held liable for negligent security, especially if someone gets hurt because of the guard’s negligence. Negligent retention of employees. No matter how well the security company vetted, trained, and supervised an employee, the firm has a duty to remove dangerous employees. If the employer knows or should have known that the employee poses an unacceptable safety risk and does nothing, the company can be held liable if that failure to act causes harm to someone. As an example, a security company hires a guard who must drive a golf cart-style vehicle while performing her duties. Despite her third conviction for driving under the influence of alcohol, the security firm does not fire her. As a result, she injures two people while driving the security company’s vehicle through the parking lot. In such a situation, the security company is liable for negligent retention. Respondeat superior. Sometimes, employers have to pay for the harm their employees cause. The theory of respondeat superior holds employers responsible because they hired the employee. If you need help determining if you have a case, contact a premises law attorney for legal assistance. 1. The security company (defendant) had a duty toward the injured person (plaintiff). Georgia law requires security guards to “protect the asset under their protection.” They are to carry out such actions as are legal under state law for the security of the person or property under their care. If the security company was supposed to protect the person who was injured, the firm had a legal duty toward that individual. 2. The security company failed to fulfill its legal obligations toward the person or asset under its protection. If the security company did not take the required actions to protect someone within the scope of its duty, the company breached its legal duty toward that person. For example, a jewelry store hires a security company to protect its employees, customers, and merchandise. However, the security guard on duty fails to take any action when he sees someone stealing a ring. This failure to act constitutes negligence. 3. The negligence must be the cause of the injury. The thief is emboldened by the guard’s negligence and brandishes a gun. He robs the store and shoots a customer in the process. The guard’s failure to act contributed to the shooting. 4. The injury must be preventable. If the guard had responded to the thief promptly, he could have prevented the injury. Since the above constitutes all four prongs of a negligent security claim, the security company can be held liable for the victim’s injuries. We provide a free consultation to determine if a security company’s negligence makes you eligible for compensation for your injuries. Call S. Burke Law at 404-842-7838 today for a free case evaluation. What Are Permanent Total Disability Benefits Under Georgia Workers' Compensation? There is no category of Georgia Worker’s Compensation benefits called Permanent Total Disability Benefits, but it is possible to get benefits for a total disability on a permanent basis for a qualifying catastrophic injury or for loss of or loss of use of more than one major member of your body. To speak with a workers’ compensation lawyer in Atlanta, call S. Burke Law at 404-842-7838. Temporary Total Disability Benefits. An employee with a work-related injury who cannot work at all while recuperating can collect Temporary Total Disability benefits. The authorized treating physician must certify that the employee cannot work. The weekly check will be two-thirds of the employee’s average wage as of the time of the accident, up to the legal maximum. Most people can only receive the benefits for a total of 400 weeks from the date of the injury. Those with catastrophic injuries have no limit on the number of weeks that they can collect these benefits, so for these people, the benefits can be permanent in duration. If at any time a person receiving Temporary Total Disability benefits, whether for a catastrophic injury or a non-catastrophic injury, recuperates to the point at which she can go back to work, the Temporary Total Disability benefits will stop. The authorized treating physician can certify you to return to work, even if you have to take a lower-paying job or work fewer hours. Temporary Partial Disability Benefits. Sometimes people can return to work after an injury, but because of the injury, they cannot work as many hours, or they have to take a job that pays less. In this situation, Georgia worker’s compensation will pay Temporary Partial Disability Benefits to help make up the difference in income. These benefits only cover two-thirds of the difference between the employee’s previous injury and current income. Also, these benefits have a time limit. You can only collect these benefits for up to 350 weeks following the injury. If you already collected Temporary Total Disability Benefits for 350 weeks or longer, you will not qualify for Temporary Partial Disability Benefits. Permanent Partial Disability Benefits. If you experience residual impairment from your injury, you might qualify for Permanent Partial Disability (PPD) benefits. Your authorized treating physician (worker’s compensation doctor) will evaluate you to see if you fall within the American Medical Association’s guidelines for loss of or loss of the use of a body member, such as a hand, a leg, your hearing, or your sight. Georgia statutes designate the number of weeks for which you can receive benefits for your partial impairment. Your weekly benefits will be two-thirds of your regular wages. You will get the checks for the number of weeks the law dictates. For example, you can receive weekly benefits for 225 weeks for the loss of or loss of the use of an arm. The loss of vision in one eye qualifies for 150 weeks of benefits. Death Benefits. Eligible dependents like minor children or a dependent spouse can receive worker’s compensation benefits for the death of an employee from a work-related injury. The benefits are two-thirds of the deceased employee’s average wages up to the legal maximum. Worker’s compensation will also pay a limited amount of funeral expenses for death from an injury on the job. If you lose both of your arms, hands, feet, or legs, or any combination of two of these body parts, there is a rebuttable presumption that you qualify for the payment of total disability benefits on a permanent basis. Losing your vision permanently in both eyes also qualifies you for this type of compensation. You will get the same amount every week that you would for Temporary Total Disability. Your benefits will be unlimited in duration. In other words, they will not expire 400 weeks after the work-related injury. What Are Permanent Partial Disability Benefits Under Georgia Workers' Compensation? 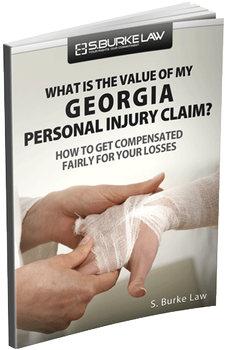 You are not required to have sustained any economic loss from the injury to be a candidate for permanent partial disability (PPD) benefits, but not all injuries that qualify for worker’s compensation benefits in Georgia qualify for PPD benefits. To learn more work injury benefits and to schedule a free consultation, call S. Burke Law at 404-842-7838. Your weekly benefits check will be two-thirds of your average weekly income for the number of weeks that apply to your injury. For example, if you lost your hearing in one ear because of an injury on the job, you can get a weekly check for two-thirds of your income for 75 weeks, even if you are back at work and earning your full previous wage. You can only collect one type of worker’s compensation benefits at a time, even if you meet the requirements for more than one kind. As a result, if you are collecting Temporary Total Disability benefits or Temporary Partial Disability benefits, you cannot start getting Permanent Partial Disability Benefits until your other workers’ compensation benefits run out. You received Temporary Total Disability benefits until you healed to the point at which you could return to work. If less than 350 weeks have passed since your injury and your injury causes you to make less money, you might get Temporary Partial Disability benefits until they expire, and then you might be eligible for PPD benefits. You received Temporary Total Disability benefits until you healed to the point at which you could return to work, more than 350 weeks have passed, and your injury causes you to earn less money than before you got hurt. Since you cannot get Temporary Partial Disability benefits after 350 weeks have passed since your injury, you might qualify for Permanent Partial Disability benefits. You received Temporary Total Disability benefits until you healed to the point at which you could return to work. You are able to earn the same amount of money as before your injury, so you do not qualify for Temporary Partial Disability benefits. If your injury qualifies, you might get to collect Permanent Partial Disability benefits, even though you are not losing income. People who sustain catastrophic injuries can stay on Temporary Total Disability benefits past the 400-week rule, as long as they cannot work at all because of their injury. You cannot collect both Temporary Total Disability and Permanent Partial Disability at the same time. Let’s say that you eventually can go back to work after a catastrophic injury but at lower pay because of your injury. More than 350 weeks has passed, so you are not eligible for Temporary Partial Disability to help offset the difference in your pay. You should request a disability rating from your authorized treating physician and then apply for Permanent Partial Disability. Call S. Burke Law for help navigating workers’ compensation laws. You can get legal help with your workers’ compensation claim with no upfront attorney fees. Call us today at 404-842-7838 to get your no-cost consultation. What Are Temporary Partial Disability Benefits Under Georgia Workers' Compensation? Temporary Partial Disability Benefits under Georgia’s workers’ compensation can help make up some of the difference between your income at the time of your injury and your new income if you have to take a lower-paying job when you return to work. The injury must be the reason you take the lower-paying job. To get a free case consultation, call S. Burke Law at 404-842-7838. You must be working at a job that is eligible for Georgia Workers’ compensation Benefits at the time of your injury or illness. You must have sustained an on-the-job injury or illness that meets the requirements for workers’ compensation benefits. You must obtain your medical treatment from an approved provider. Your employer maintains a list of the approved providers. You must return to work when your treating doctor releases you to do so. You must be unable to return to your previous position because of the injury or illness. The position you take after the injury or illness must pay less than the position you held at the time of the injury or illness. You must be back at work before you can get TPD benefits. You can only get TPD benefits for up to 350 weeks from the date of injury. So, if you were out of work for 50 weeks getting medical treatment and rehabilitating from the injury, you can only get TPD benefits for up to 300 weeks. PTD benefits will pay two-thirds of the difference between your previous average wage and your new wage. Let’s say that you were working at a $25-an-hour job for 40 hours a week when you got hurt. After medical treatment and recuperation, you came back to work but had to take a $20-an-hour job and could only work 30 hours a week because of the injury. You previously earned $1,000 a week ($25 an hour for 40 hours a week). Your new income is $600 a week ($20 an hour for 30 hours a week). The difference in your wages is $400 a week. Your TPD benefits will be two-thirds of the difference, which is $266.67 a week. Call S. Burke Law at 404-842-7838 to get a free consultation about your case. Georgia law does not allow recipients to combine benefits. You can only receive one type of benefit at a time. You might receive Temporary Total Disability Benefits after the on-the-job injury while you undergo medical procedures and wait for your body to heal, if the doctor says that you cannot work during this time. After the treating physician certifies that you are done with your medical care and ready to return to work, your Temporary Total Disability Benefits will stop. If appropriate, you might receive Temporary Partial Disability Benefits or Permanent Partial Disability Benefits at that point. If your condition warrants it, your authorized treating physician can evaluate your residual (permanent) disability. Injury ratings are not automatic in all injuries. The doctor will use the current AMA Guidelines for this assessment. Georgia law provides a mathematical formula for the physician to use, including a number of weeks, your disability percentage rating, and the TTD rate. You cannot receive both Temporary Partial Disability Benefits and Permanent Partial Disability (PPD) Benefits at the same time. Once you exhaust your TPD benefits, you might start receiving PPD benefits. If your employment caused you to suffer an occupational-related disease, you might qualify to receive Temporary Partial Disability Benefits under Georgia workers’ compensation law. The disease must satisfy the applicable legal tests. Georgia law has a special procedure for catastrophic injuries that happen at work. An extremely severe injury, like the loss of a limb or a severe burn, is a catastrophic injury for purposes of Georgia workers’ compensation. As long as you cannot work at all, you will get Temporary Total Disability (TTD) benefits. Despite the word “Temporary” in the name, these benefits are unlimited. Catastrophic injuries receive TTD benefits as long as you cannot work at all. Once you return to work, the TTD benefits cease. If your new job pays less because of your injury, you might then qualify for Temporary Partial Disability benefits. Once those benefits end, Permanent Partial Disability benefits will begin. You can call S. Burke Law at 404-842-7838 to set up your free consultation on your Georgia workers’ compensation case.